Another Radio Redux show from the past for this weekend, one of the last shows from series one to be up for download again – this was already available on RRPlay. Speaking of RRPlay, we’ll have another RRPlay EXCLUSIVE show for you next week courtesy of the entire Emerald Coast team. Radio Redux #104 – Won’t Get Fooled Again? AAUK follows up the events of April Fools Day, Easter and all the rest of the news from behind the mountains of chocolate he has to consume. 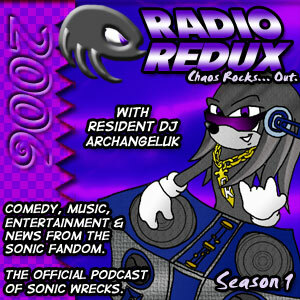 Also includes Chaotix X episode 3, the JPop Selector and news of a special Retro Respected show.